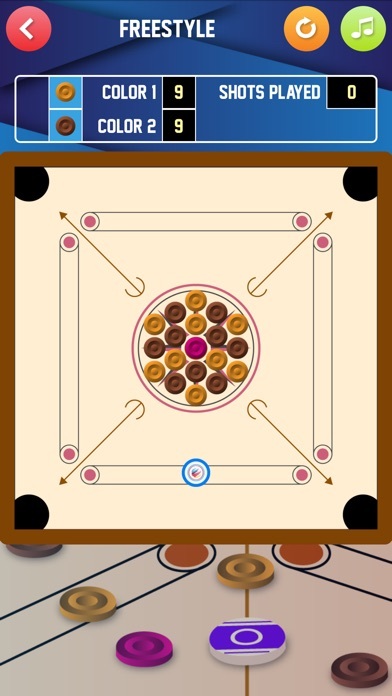 Carrom is a board game similar to Pool, Billards or Snooker. 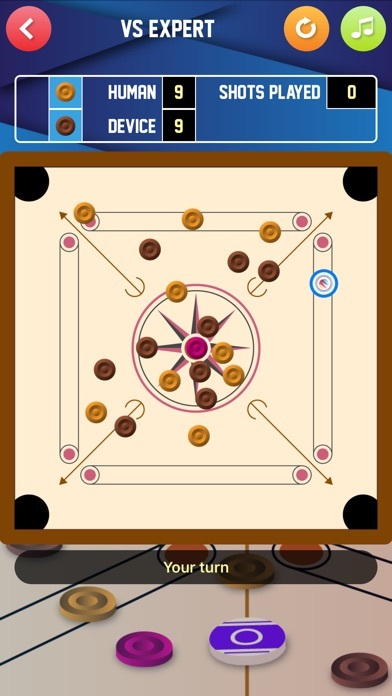 There are 19 discs (counters) and these must be hit using the Striker Disc, into the 4 pockets on the corners of the board. - A new and simplified touch interface! 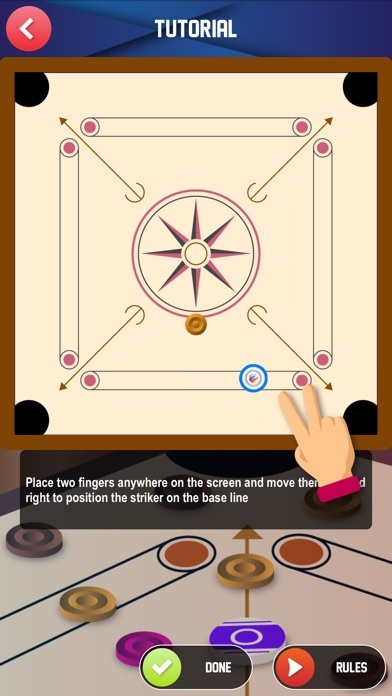 Place two fingers anywhere on the screen and move them left and right to position the striker before launch. Swipe anywhere on the screen, using a single finger, to launch the striker. 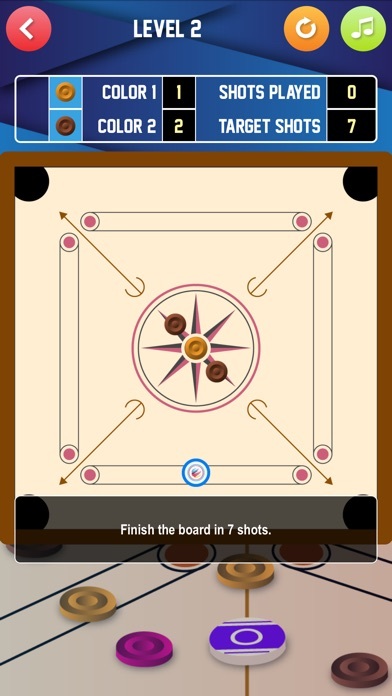 - To launch the striker, you can swipe anywhere on the screen. It is not necessary to swipe over the striker. This makes it far easier on devices with smaller screen sizes.